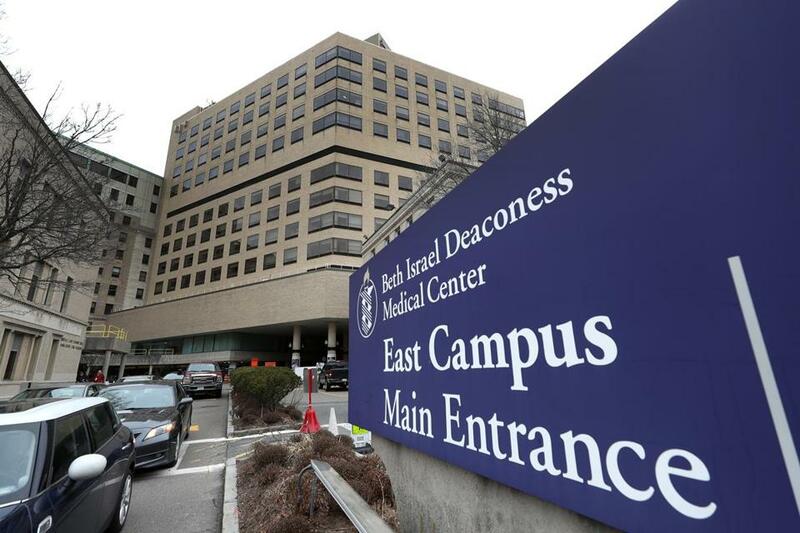 A state watchdog agency on Wednesday delivered a setback to the proposed union of Beth Israel Deaconess Medical Center and Lahey Health, warning that their sprawling merger could sharply raise health care costs statewide. The new hospital system could command substantially higher payments from insurance companies, boosting medical spending by as much as $191.3 million a year for inpatient, outpatient, and primary care services, the Massachusetts Health Policy Commission said. Its 138-page report predicted as much as $59.7 million in additional annual costs if the hospitals obtain similar price increases for specialty physician services. The higher costs would be paid by insurers, employers, and consumers. “To date, the parties have not committed to constraining future price increases,” the report states. While the Health Policy Commission lacks the authority to stop a merger, its analysis gives ammunition to opponents of the plan and adds pressure on Attorney General Maura Healey to push for limits or other changes to the deal. Healey has already raised concerns about the transaction. It may fall to Attorney General Maura Healey to make sure the merger doesn’t come at the expense of community hospitals and the patients they serve. A spokeswoman said Wednesday that the attorney general’s office is closely reviewing the commission’s findings and expects to speak with hospital officials about their plan in the coming days. Merging Beth Israel Deaconess and Lahey would be the largest health care transaction in Massachusetts in decades, involving more than a dozen hospitals. Executives have argued that the merger would help contain spending by creating a system that draws patients from higher-priced providers, such as Partners HealthCare. But the commission’s cost estimates for the merger are its highest projections for any deal yet — far more than the cost increases commissioners projected four years ago when Partners was trying to acquire three community hospitals. Partners, the state’s largest and priciest health system, eventually abandoned those deals in the face of opposition from Healey, competing hospitals, and others. Executives from Beth Israel Deaconess and Lahey had discussed a deal on and off for years before reaching an agreement in early 2017. Their merger plan includes all the hospitals in the Beth Israel Deaconess and Lahey networks, plus New England Baptist, Mount Auburn, and Anna Jaques hospitals. Together, these hospitals would have a market share nearly equal to that of Partners, the Health Policy Commission said Wednesday. Partners was formed in 1994 with the merger of Massachusetts General and Brigham and Women’s hospitals, and it has grown substantially since then. The commission’s report also underlined a concern, raised by some critics, that the proposed new system — to be called Beth Israel Lahey Health — would serve patients who tend to come from more affluent communities. Relatively small shares of its patients would be low-income or nonwhite. Critics have argued for months that the merger would drive up costs and widen disparities. “This report confirms our worst fears, that the merger will leave communities of color behind in order to generate bigger profits,” said Hanoi Reyes, a spokeswoman for the Make Healthcare Affordable Coalition, which was launched by a Beacon Hill consulting firm but says it represents diverse community leaders. Members of the commission voted to release their critical report Wednesday, even while acknowledging that the economic models used to predict cost increases are imperfect. “It’s highly hypothetical, but it does give us a direction,” said chairman Stuart Altman, adding that commissioners could not ignore the projection that the merger may significantly raise health care spending. Hospital officials will have 30 days to submit a response to the report, and the commission could choose to revise its estimates. Despite the months already spent digging through data, commissioners said Wednesday they needed more information, particularly about the deal’s potential benefits for patients. Executives from Beth Israel Deaconess and Laheysat in the audience as their plan was discussed for hours at the packed public meeting, then made their case directly to the commissioners. “It is time to try something new in this market,” said Dr. Kevin Tabb, chief executive of Beth Israel Deaconess. “We absolutely share your commitment to strengthening patient care and reducing health care costs and to expanding access to all patients,” he added. Lahey’s chief executive, Dr. Howard Grant, described the merger as essential for Lahey’s hospitals, adding that it would help address the problem of high health care costs in Massachusetts. Beth Israel Deaconess and Lahey are pricier than many other providers, but they are less expensive than their chief rival, Partners. “The creation of the Beth Israel Lahey system provides the market with exactly what you’ve been clamoring for all these years: legitimate competition,” Grant told the commissioners. Several opponents of the merger, including executives from two competitor hospital systems, Wellforce and Steward, testified against the deal. Altman, the health economist who chairs the commission, said one possibility is that the attorney general could impose conditions on the merger that would address concerns about higher costs. Tabb, who is set to run the merged company, did not directly respond to a Globe reporter’s question about whether he would accept price caps or other limits. The state’s Public Health Council has already approved the merger plan, but it still needs the attorney general’s blessing to move forward. Federal regulators are also reviewing it. can be reached at priyanka.mccluskey@globe.com. Follow her on Twitter @priyanka_dayal.